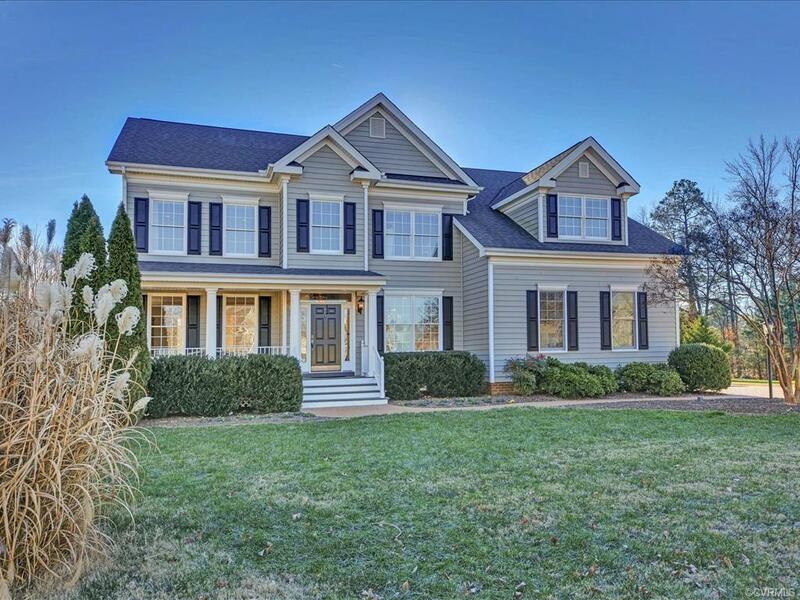 16803 Jaydee Court, Moseley, VA 23120 (#1900822) :: Abbitt Realty Co.
GORGEOUS LIKE-NEW HOME IN COSBY HIGH DISTRICT! First Floor Bedroom/Office with Full Bath! 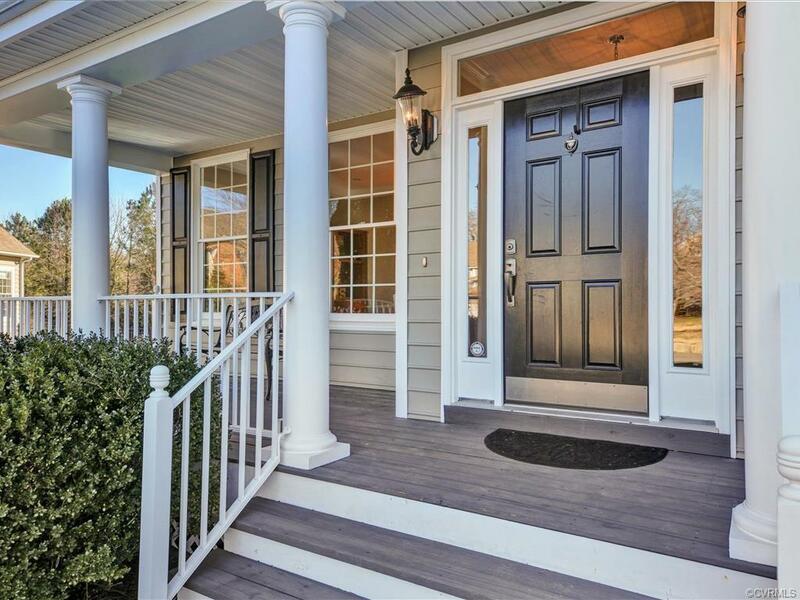 Light and Airy with 9' Ceilings Throughout the First & Second Levels. 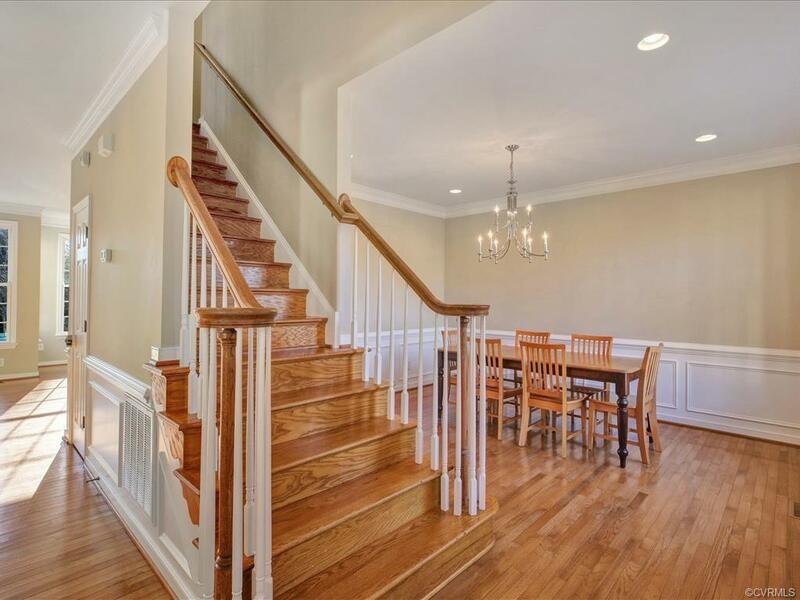 Gleaming Hardwoods Run Through the Main Floor and up the Stairs! Welcoming & Warm Living Room has Columns and Gas FP/Mantle. Formal Dining Room Exudes Charm with Picture Frame Molding. 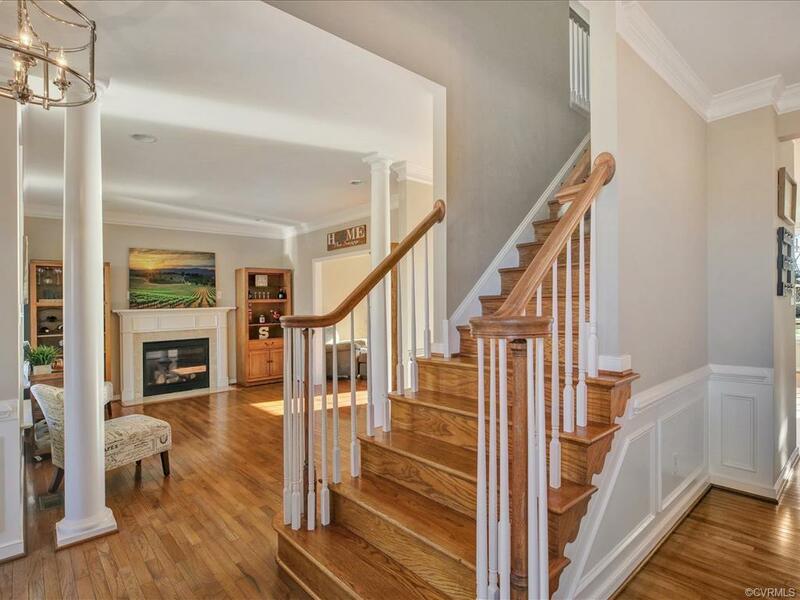 Family Room Features Double Crown Molding, Hardwoods and Recessed Lights. Beautiful Kitchen Boasts Granite Counters, Tile Backsplash, SS Appliances, White Cabinets, Pendant Lights, Island, Pantry, Under Cabinet Lighting and Breakfast Area w/Built In Desk. Spacious Master Bedroom Shines with Large Walk In Closet & Ensuite Bath w/Garden Tub, WI Shower, Double Vanity, Tile Floor & Water Closet. Second Floor Contains 4 More Bedrooms with Carpet and Oversized Closets As Well As Another Full Bath with Tub/Shower, Tile Floor & Vanity. Walk Up Attic with Rough In Bath. Half Acre Lot on Private Cul De Sac! Oversized 1 Car Garage w/Aggregate Driveway! Community Amenities abound including Competition Size Swimming Pool, Lighted Tennis Courts & Biking/Jogging Trails. Property is Convenient to the Swift Creek Reservoir. Listing courtesy of Jenni & Company Residential Re. Listing information © 2019 CVRMLS and CBRAR.